It's been nearly two years since we began our journey to bring a new SEGA-focused video game magazine back to the world. 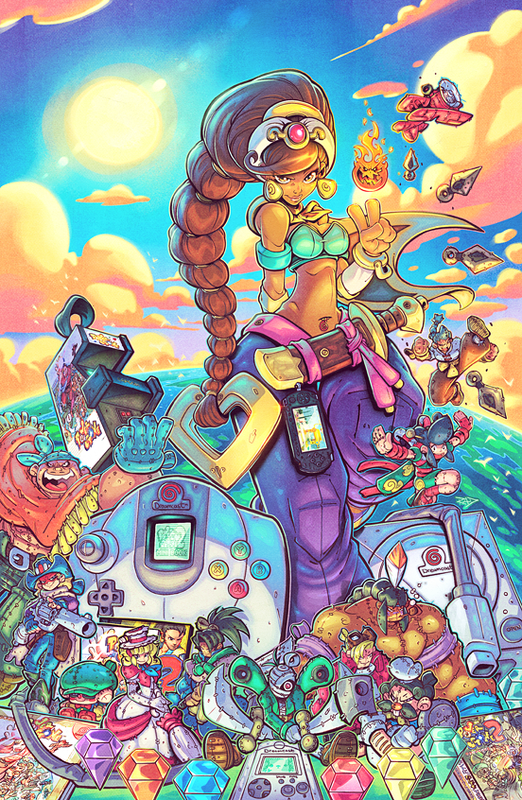 Thanks to our amazing Kickstarter backers and readers, Mega Visions became a reality, and we released six interactive, digital issues. But we're not content to rest on our laurels. We want to take Mega Visions to the next level, and that means taking the magazine where it's never been before – into the physical space! 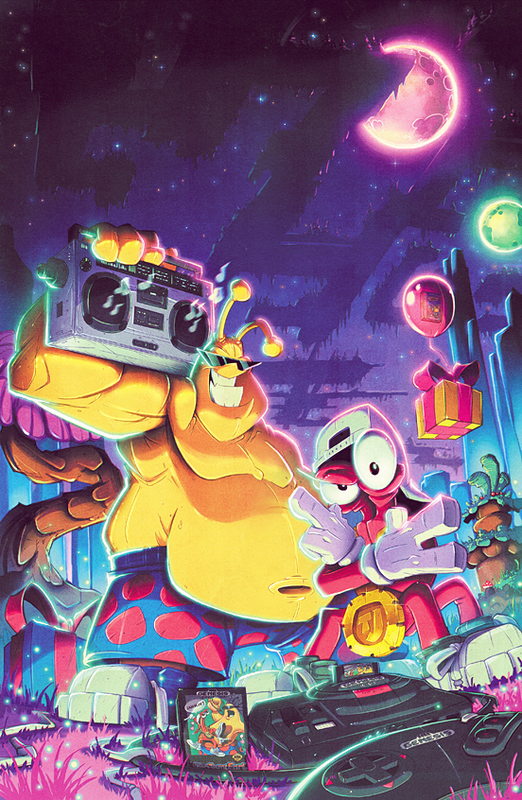 That's right, not only is Mega Visions going physical starting with Issue #7, we've given the magazine a complete redesign from cover to cover that gives us a unique look like you've never seen before. 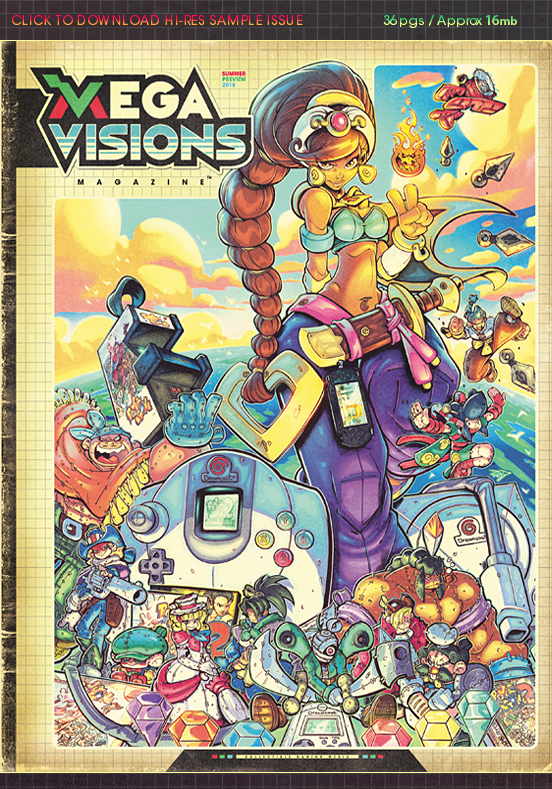 The brand new Mega Visions will combine the best parts of high-quality video game art books and retro game magazines to guarantee you'll be coming back to read each issue for years to come. 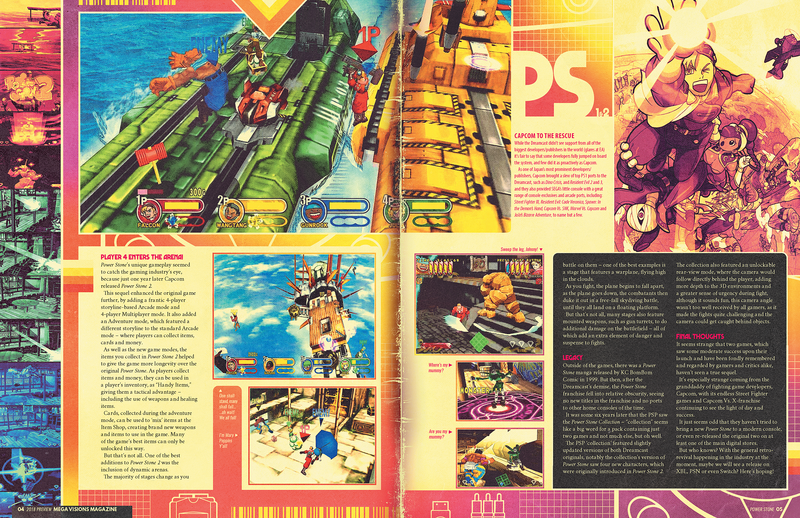 Mega Visions is an independent SEGA-focused magazine that covers everything SEGA, both new and old. 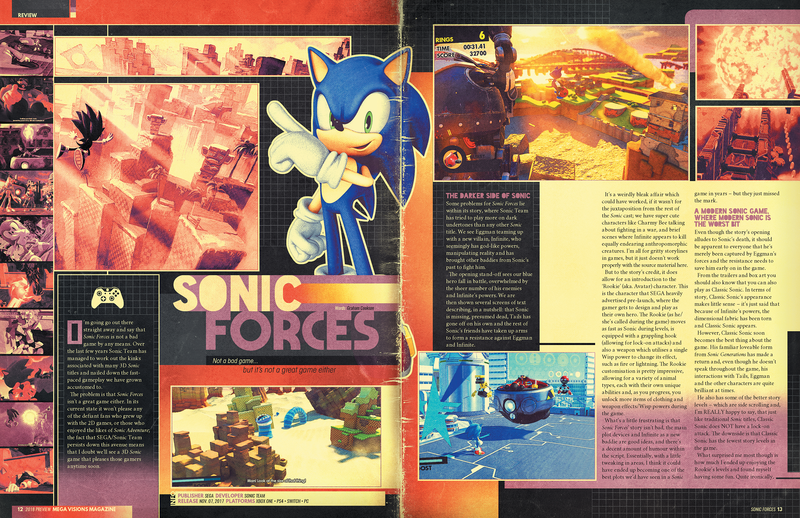 Inside each issue, you'll find previews and reviews on the latest SEGA games and retro reviews and retrospectives on your favorite games from your youth. 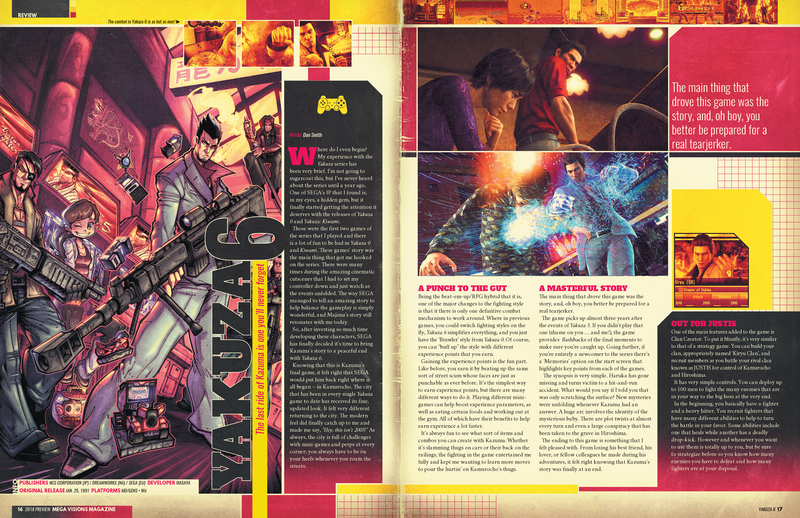 It also contains unique feature and personality stories on the people behind our favorite SEGA series, as well as coverage of the SEGA indie and community scene, and much more! Each issue will release bi-monthly and will contain original cover art and 64 pages of retro-style design that will make you feel like you're back in the early '90s. 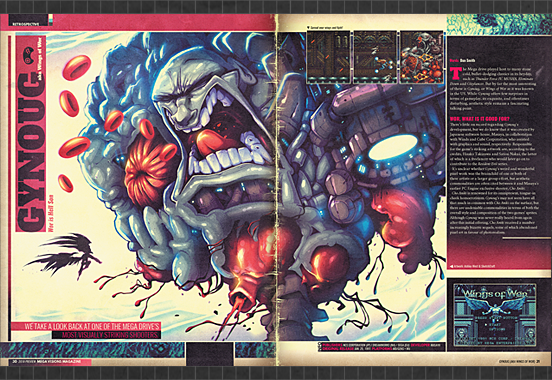 Our art team will also create original art for each retrospective and featured retro review to give each issue a unique look and feel. 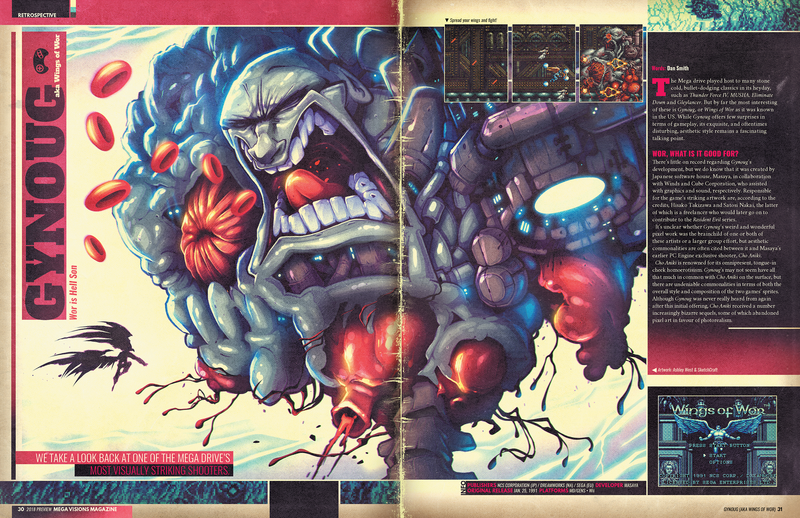 Our goal is to create a video game magazine that's collectible, not disposable. Don't take our word for it, we've put together a special Summer 2018 Preview issue, that's 36 pages of what's to come and more! 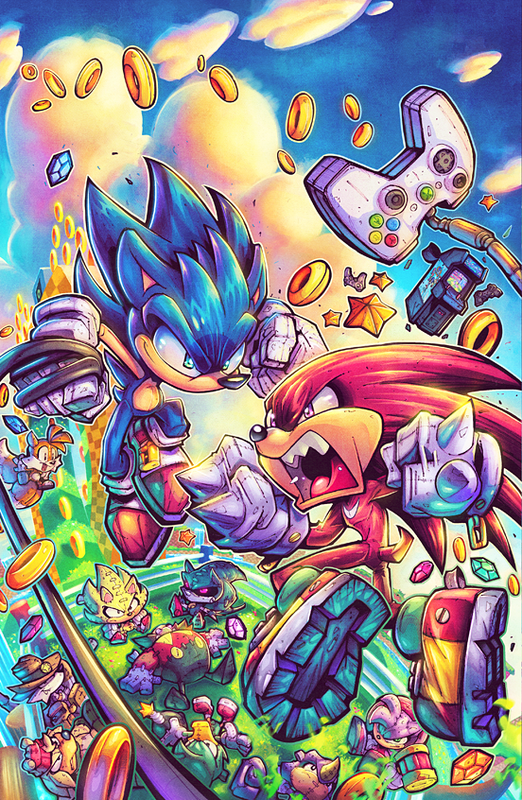 From a Power Stone Retrospective to a modern Sonic Forces review we've got every era in SEGA gaming covered. Click the link below and check it out for yourself. 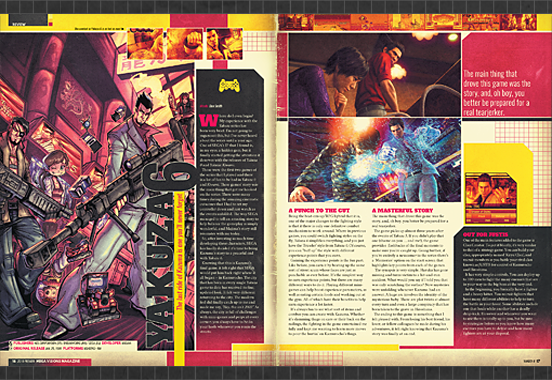 The PDF is 16MB if that is too large for your current device, here are some sample layouts from the Preview issue, just click on them to emiggen and get a taste of all that modern retro goodness. Nom nom nom! When we launched our Kickstarter campaign, to create a digital magazine, it was clear our backers wanted a physical magazine. It was always our long-term goal to transition Mega Visions into a physical magazine, but we wanted to take the time to ensure we got it right and that it was up to the high standards of SEGA magazines that came before it. The SEGA community remains one of the most passionate in all of the video game industry, and we feel it deserves a physical magazine of its own once again. 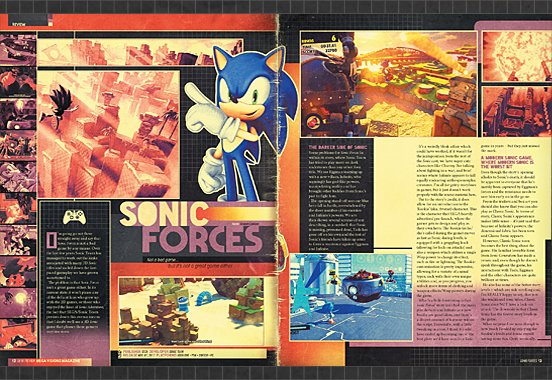 We believe we've created a magazine for every generation of SEGA fan. The Mega Visions team is made up of around a dozen passionate SEGA fans. 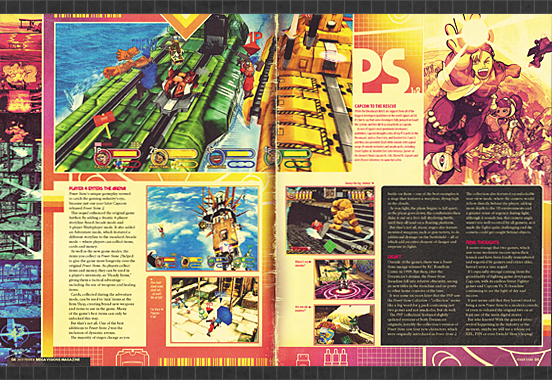 We launched our first Kickstarter in June 2016 to bring an interactive, digital SEGA magazine to the market. We exceeded our goal by nearly $2,000 and released all six issues to our awesome readers. The roots of Mega Visions can be traced back over 17 years ago, when our Editor-in-Chief Chris Powell and Graham Cookson joined forces to create their first Dreamcast-focused website called Dreamcaster's Realm. When SEGA sadly pulled the plug on the Dreamcast, they created SEGA Nerds soon after, and it has continued to be the leading SEGA news site on the Internet today! 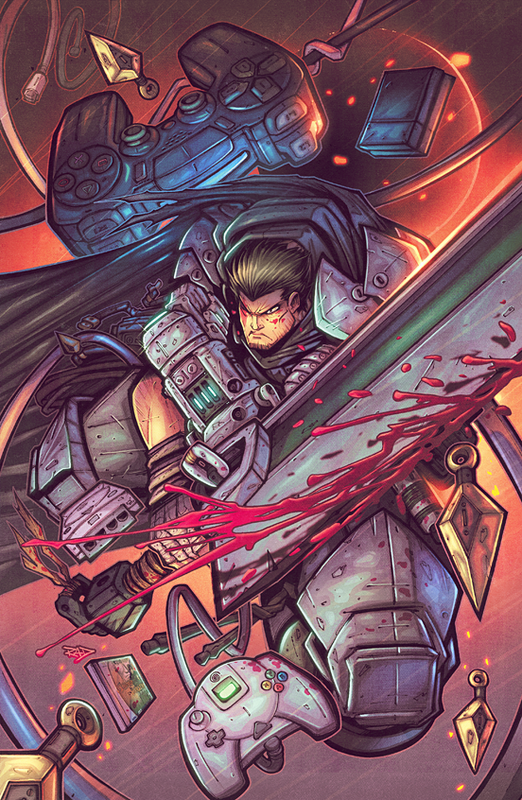 Rob Duenas (aka Sketchcraft), who was Art Director for GameFan Magazine (2010 to 2011) and staff artist for Play Magazine (2008-2010). 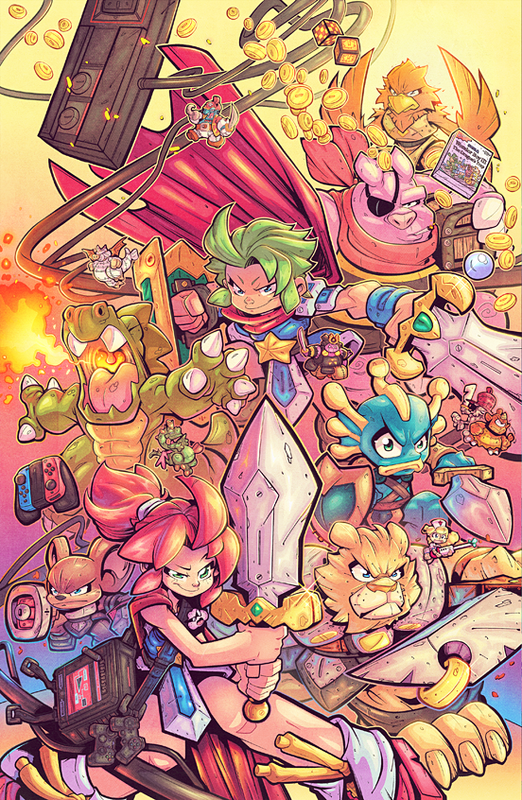 Rob has been the cover artist for Mega Visions Magazine since the very first issue and is now the Art Director starting with the 2018 Summer Preview. If you want a physical version of Mega Visions to become a reality, we ask that you become a patron of our Patreon campaign and tell everyone you think would be interested about us! Social media is a powerful tool to spread the word, and we can only do so much ourselves, so we're asking all of you to join us on our quest to bring you a physical SEGA themed magazine! 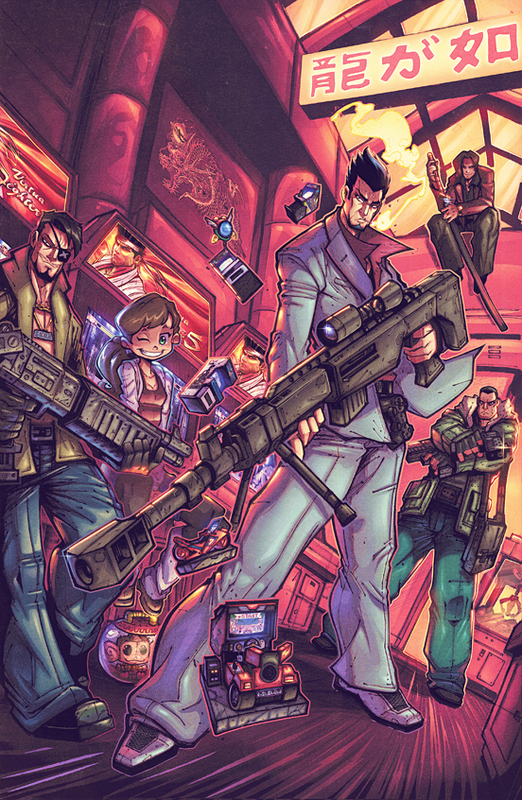 Mega Visions is a quarterly magazine, meaning we'll release a new issue every four months. Once your pledge clears, we'll email you a digital version (if you are a patron of that tier) and mail your physical issue to your mailbox. We mail each issue from the U.S., so please be patient if you reside in the United Kingdom or elsewhere in the world as it might take up to a week to receive your issue. While it's true that we will no longer offer an interactive version like in Issues #1-6, we will offer PDF versions of each issue that can be purchased on our website. If you previously purchased an issue or were an original Kickstarter backer, your issues will still be available to read in the Pocket Mags app. MEGA PRINT & DIGITAL SUBSCRIPTION: U.S. When we reach 200 patrons, we'll add a new recurring feature that will chronicle SEGA's history in the arcade industry and new comic strips, bringing the issue to 68 pages!